Cabin fever? There’s a garden app for that. Photo courtesy of Apple. Simulated image by Garden Variety. If you’re experiencing gardening withdrawal, here’s some digital treatment in the form of two-dozen mobile applications. The approach of winter is a dreaded time for many gardeners—except, of course, those lucky enough to live in a year-round gardening climate. Fortunately for the rest of us, there are lots of ways to get our fix while impatiently waiting for next planting season. One is toying around with the many useful, interesting and inspiring mobile apps that let green-thumbed smartphone users do just about anything, from choosing plants and planning designs to solving pesky problems and taking virtual garden tours. So, whether you want serious how-to information or playful distraction, we’ve got you covered with this shortcut guide to the Web’s best gardening apps. Garden Pro ($3.99) has descriptions and photos of some 7,000 plant species, along with their growing zones, botanical names and water and light needs. The app also lists common plant pests and diseases and possible treatments and includes both “Journal” to “To Do” features. The New Sunset Western Garden Book ($9.99) is the digital version of the magazine’s comprehensive encyclopedic reference for gardeners in western U.S., with helpful how-to videos, slideshows, interactive maps, growing calendars and more. Landscaper’s Companion ($9.99) is a searchable—by common or botanical name, growing zone and more—reference featuring an extensive database of annuals, perennials, trees and shrubs. Vegetable Tree (99 cents) is an ever-expanding guide to planting, growing and harvesting edibles that allows users to attach photos and notes to track their own garden’s progress. Gardening Toolkit ($1.99) is a guide to plants and their care, with tools for planning gardens based on your personal likes and needs. Garden Squared (free) is an Android app that can be used to plan and track garden plots ranging in size from a tiny one-square-foot to a 4 x 8-foot raised bed. Sprout It (free) is a tool designed (in partnership with Miracle-Gro) to help gardeners select the best veggies and herbs to use in their gardens based on local weather conditions. Garden Plants Growing Guide (free) provides care information and photos on about 75 of the most popular garden vegetables, flowers and herbs. Mother Earth News’ Grow Planner ($9.99) uses data on 140 plants and 5,000 weather stations across the U.S. and Canada to plan gardens, calculate planting times and even send twice-monthly planting reminders (when linked to an online account). 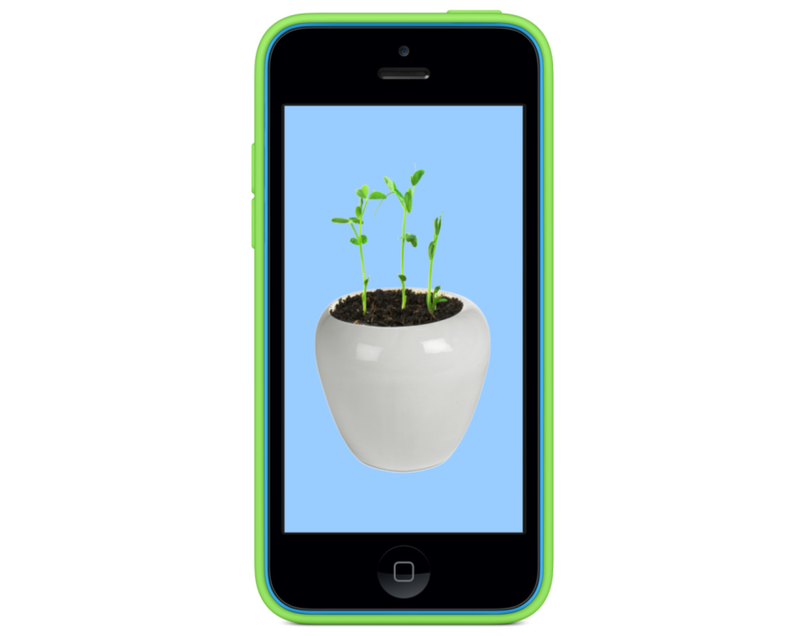 Urban Farming Assistant Starter (free) apps for iTunes and Android have information on growing an array of veggies and offer organic solutions to garden pests, plant diseases and other gardening problems. Garden Tracker ($1.99) employs a simple grid method of planning garden plots, allowing you to keep track of what you plant and when to water, fertilize and harvest. Garden Time Planner (free) by Burpee advises on when to sow, transplant and harvest vegetables and herbs based on specific garden region. Foolproof Plants for Small Gardens ($2.99) for iPad and Android is a guide to popular small-sized ornamentals for space-challenged gardeners. Garden Compass Plant/Disease Identifier (free) let’s you snap a pic of plant, ailment or pest and have it ID’ed by an expert horticulturist, who can also provide treatment advice. Bugs In The Garden ($1.99) helps identify the most common garden pests in North America. Leafsnap (free) for iPhone or iPad, developed by researchers at Columbia University, the University of Maryland, and the Smithsonian Institution, uses visual recognition software to identify trees from photos of their leaves (now only species in the Northeast but soon the entire U.S.). Everything You Want To Know About Composting (99 cents) for iPhones and iPads and Android devices answers the where, what and how of composting and includes information of buying and building your own bin. Moon Gardening (99 cents) is an app that uses the age-old agricultural practice of lunar planting based on gravitational forces during different phases of the moon (and signs of the Zodiac). Harvest Landscape Calculator (free) helps users determine how much soil or mulch is required for gardening and landscaping projects, and includes tips on composting and topsoil maintenance. ColdSnap! Frost Alarm ($1.58) is a simple Android app that alerts gardeners when deadly frost or low temperatures are on the way in their area. Home Outside Palette ($1.99) let’s you bring out your inner landscape designer and plan outdoor spaces with elements ranging from trees and shrubbery to furniture and even composting bins. Permaculture (free) features news, articles and reviews related to the eco-conscious, agriculture-heavy permie lifestyle, which is centered around growing, foraging, composting, conservation and self-reliance. NYBG in Bloom (free) is a virtual guide to the New York Botanical Garden, the city’s largest (over 250 acres), with walking tours, augmented reality, interactive maps and animated highlights of its native forest, herb garden, rose garden, rock garden, wetland trail and children’s adventure garden. GardenGuide (free), the Chicago Botanic Garden’s iTunes and Android apps, offers walking tours of its 385 acres of gardens and natural areas and a complete database of its nearly 3 million plants. This entry was posted in Gardening, Uncategorized and tagged android apps, garden apps, garden information, gardening apps, gardening information, ipad garden, ipad gardening, iphone garden, iphone gardening, mobile applications, mobile apps. Bookmark the permalink.